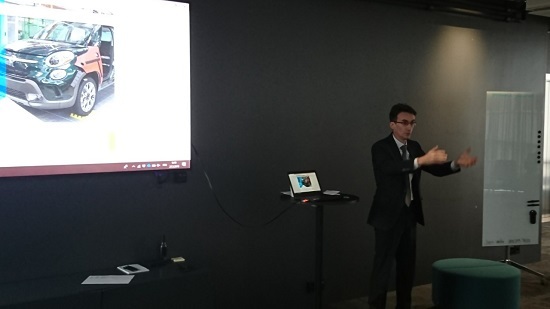 Serbian Ambassador Sasa Obradovic briefed the participants on the benefits and legal incentives for greenfield investments, successful examples of business cooperation between Serbian and Finnish companies, as well as on the sectors of Serbian economy that are in the focus of international companies. The Ambassador described measures to encourage investment in research and development through the government project "Serbia creates". He recalled that direct flights operated by Air Serbia between Belgrade and Helsinki were to be launched in June this year and distributed brochures of the Serbian Chamber of Commerce about Serbia as an investment destination. The event was opened by the Chair of the World Trade Centre in Turku, Mr. Jari Rastas. The attendees were also addressed by Romanian Advisor for International Economic Cooperation Adrian Cristea, Hungarian Ambassador Gyorgy Urkuti and former FinPro Chief for Central and Eastern Europe Kari Vahakangas, who highlighted good investment and business climates existing in Hungary, Romania and Serbia.